A friendly reminder that this coming tax-free weekend doesn’t just apply to TVs, leather armchairs and solid-wood shellcases for your iPad. It also applies to booze. Have your eye on a bottle of green Chartreuse VEP ($130)? Strathisla 1967 Speyside scotch whisky ($175)? Remy Martin Cognac Louis XIII Grande ($1700)? Well, grab your shopping cart and boogie down the aisle of one of these fine establishments. » Boston wins. Damned if Boston didn’t hit it out of the park during Tales of the Cocktail in July. First of all, more Boston bar industry folk represented our city at New Orleans’ annual drinks convention than ever before. Second of all, Drink won the Grand Marnier-sponsored Barroom Brawl, besting five other top-notch cocktail bars from around the U.S. and earning the title Best Bar in America. Third of all, Drink’s Misty Kalkofen won the Pisco Sour Pentathalon and will in the near future enjoy her prize: a trip to Peru to see how desert-grown grapes turn into white brandy. Congrats to all! Liza Weisstuch offers a vivid snapshot of the competition and, more generally, the Boston slant on Tales in today’s Phoenix. Good stuff. » Remixology. Speaking of contests, there’s a new bar celeb in town: John Mayer of Cambridge’s Craigie on Main. A relatively new member of the staff there, he wowed everyone at the Appleton Estate Rum Remixology contest earlier this week with his mixing skills, sense of humor and ability to explain how a favorite song inspired a new cocktail. His presentation involved Frankie Valli’s “Sherry Baby,” a powder-blue brocade blazer, three mixing glasses spinning on a turntable, a small disco ball, a history lesson on Jamaica’s first prime minister — Alexander Bustamante — and the year 1962. He will compete in the national finals of the competition in NYC on August 30. Go, John! Here are recipes for the Bustamante and the other semi-finalists’ tasty drinks. Read it. 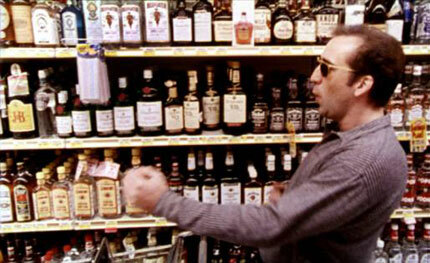 And then check out the response over at Jezebel: the Reader’s Drinking Game. » History. I was putting off going to Plymouth to learn about Pilgrims until my retirement years, but now I have a reason to go earlier. Pilgrim Hall Museum (“America’s museum of Pilgrim possessions”) is running an exhibition called “Plymouth History in a Glass: The Artifacts and Culture of Beverages and Drinking” until December 31. Silver tankards. Ceramic punch bowls. Glass tumblers. Ooh, I’m getting hot flashes. Not only that, there are two related lectures: one on historic Plymouth-area taverns on August 25 and one on September 29 called “The Design of Drinking: from the Jazz Age to the Space Age.” Far out. » Name that bar. What would you call a bar frequented by venture capitalists, entrepreneurs and hardworking graduate students from all over the world who converge on the high-tech cluster that is Kendall Square, Cambridge? The people behind the in-the-works “Venture Cafe” are seeking a more clever name than the working title for their “place-based social networking” project. They have partnered with restaurateur Gary Strack from Central Kitchen and the Enormous Room and are scouting Kendall Square locations for a 2011 opening. 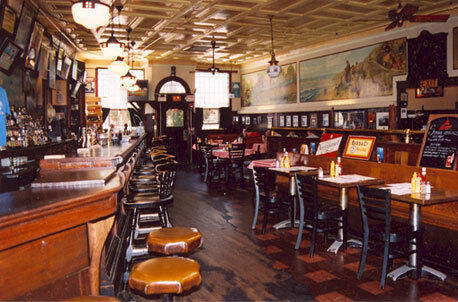 With any luck the place will liven up the woefully nightlife-less neighborhood. Got a suggestion for what to call the place? Chime in on their Facebook page. It was, of course, a stupid idea. 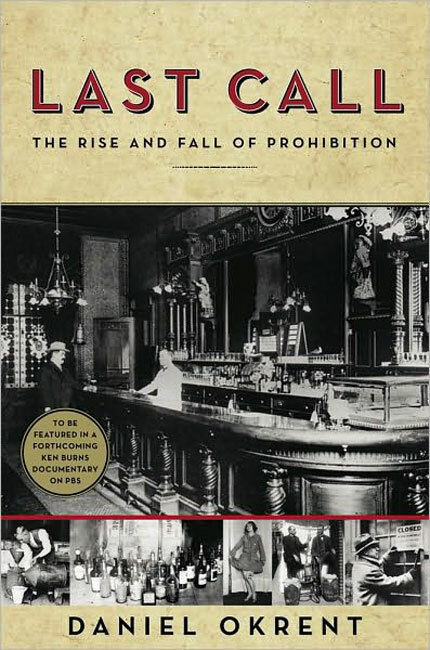 Today, it seems amazing that it happened at all, but Daniel Okrent’s new book, Last Call: The Rise and Fall of Prohibition, makes as much sense of the era as can be made. The book illuminates the social and political factors that led to Prohibition’s passage in 1919. The women’s suffrage movement, mixed with anti-immigrant sentiment and shaken vigorously with righteous, saloon-hating religious elements, created a potent cocktail that intoxicated just enough congressmen and state legislators to enshrine the 18th Amendment into the Constitution. Last Call humanizes Prohibition, discussing many individuals who made their names on both the “wet” and “dry” sides of the issue — people like Al Capone, Billy Sunday, H.L. Mencken, William Jennings Bryan, Carrie Nation, Susan B. Anthony, and Sam Bronfman – the Canadian bootlegger who went on to run the Seagram’s empire. Okrent also re-introduces several long-forgotten figures who played important roles during the era, including the Anti-Saloon League’s Wayne Wheeler, a political operative Okrent compares to Karl Rove, and Assistant Attorney General Mabel Willebrandt, arguably the most famous and powerful woman in America during the 1920s. Drinkboston readers will find plenty of local angles in Last Call. For example, the book examines the work of Dorchester’s Mary Hanchett Hunt, who brought temperance education to millions of American school kids in the late 1800s and even established a “Scientific Temperance Museum” at her home on Trull Street. 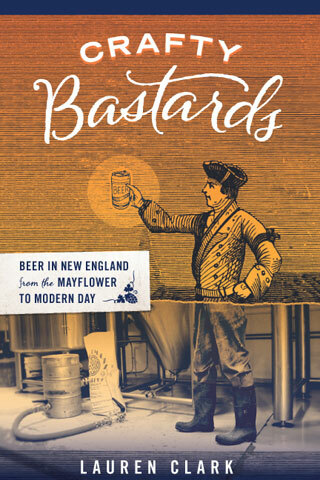 You’ll also find a detailed look at how bootleggers along the East Coast’s “Rum Row” brought booze to New England during the ‘20s, as well as a convincing argument that Joseph P. Kennedy was not, in fact, a bootlegger. Those looking for a rollicking ride through the Roaring ’20s, however, may be disappointed in Last Call. Yes, you’ll find flirty flappers, charmingly corrupt politicians, saucy speakeasies, F. Scott Fitzgerald, and even Elliott Ness’s “Untouchables.” Mostly, however, you’ll find a sober (sorry) look at a twisted time in American history. So sober, in fact, that Okrent includes the entire text of the U.S. Constitution in the book’s appendix. That’s because Last Call isn’t about what happens when you take a drink, it’s about what happens when the law takes that drink away. Shake all ingredients very well over ice and strain into a chilled cocktail glass. Garnish with orange wheel and cherry if desired.